Happy Wednesday! We are officially at the half way point of the week, which means it’s time to oogle over some great food pics! Well, maybe oogle over some other people’s great food pics because mine are getting pretty boring! 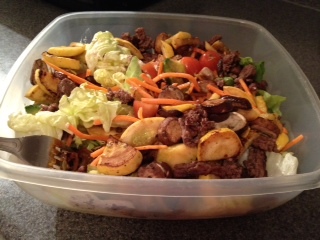 My diet isn’t changing all that much because I am trying to keep my meals pretty consistent. I don’t want any stomach issues before the race! So I apologize in advance if I bore you today! 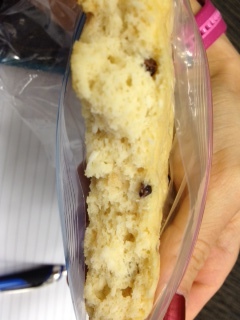 Today my diet will be switching over to about 60% carbohydrates, which is like culture shock to me! I will be eating a ton of veggies, sweet potatoes and fruit. (Today’s pics are from yesterday). In the past I have always used brown rice as my primary source of carbohydrates to fuel before a race, but this time I didn’t have any rice, pasta, bread, etc. My runs felt much better than any other time I have trained, which is great! However, I am a bit nervous to see how this new nutrition plans works for me this time! I guess we will see! Also, just a quick reminder that tomorrow is the last day before my site officially switches over to self hosted! So for all my blog follows who are currently subscribed to my RSS Feed (automatic daily updates), you will have to re-subscribe on Friday! I apologize in advance for any inconvenience and I hope you continue to follow me! 🙂 Any questions, feel free to let me know! Now, onto my eats from yesterday! Next up was this totally delicious eggwhite ‘wrap’ stuffed with 2tbs of Justin’s Chocolate Hazelnut Butter and a banana. Plus some sweetened ricotta! 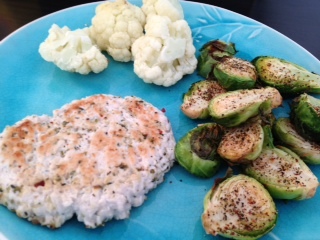 Oven roasted Brussels Sprouts with steamed cauliflower and a hemp/pizza turkey burger…..OMG!! Delicious!!! 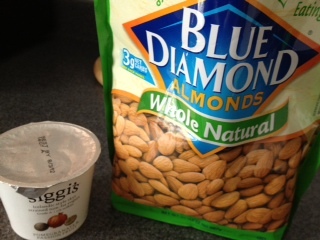 One of my favorite snacks ever…Siggi’s pomegranite/passion fruit yogurt and raw almonds! This month we are also talking about our healthy habits! Mine has been making sure to maintain balance in my life. I have been pretty good overall, but I think my baking might be going a bit into overdrive ;)! However, I think that is mostly due to nerves of the upcoming race! I also have yet to get to Barnes and Noble to find a book to just sit down and enjoy, but I am hoping next week when I have more time I will be able squeeze that in! *What is your latest healthy habit? *Have you run a long race before? What distance? Did you have nerves before? *Have you linked up to Jenn’s WIAW yet? In case you missed last weeks post, click here! Oh, meant to also ask for your Hemp/Pizza Turkey Burger recipe! 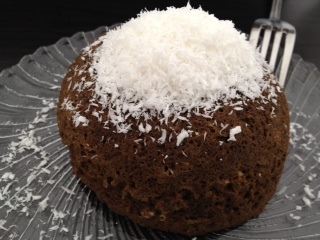 Would love your chocolate hemp brownie recipe! That egg white thing looks awesome! I’m going to have to try that! Oooooo!! Yes! You will LOVE IT!!! It’s amazing with peanut butter in it too!! It’s the perfect combination of protein, healthy fats and clean carbohydrates. Let me know how you like it! PS– You’re gonna freakin own your race girl, you’ve been training so hard! I cannot wait to hear about it!!!!! Still love the idea of slipping hemp seeds into burgers! And all these eats look delicious, of course. I like your “boring,” haha. Yum! The mug brownie looks delish! I’ve done a handful of half marathons and lots 5k’s and 10k’s. I think I always get a little anxious before a half marathon but was only really nervous before my first one. I would really like to do a Rock N Roll half and was looking at the Las Vegas one but it’s at night… hmmm… not sure how I feel about that. I like doing them first thing in the morning. 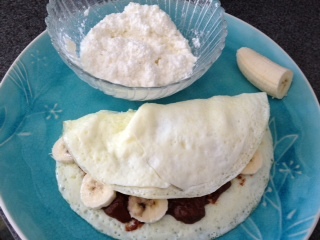 Thank you for reminding me just how delicious egg whites + pb + bananas are! I’ve run half marathons, and yes i’ve had nerves everytime! I just registered for my first marathon (rock n roll dc marathon) in march, and cannot wait!! Rock N Roll Marathons are THE BEST!!!!! OMG! You will totally love it!! And i’ve never run a race on the east coast and my biggest fear was rain and the weather forecast is 59 dgerees and rain ;( It’s going to be a tough one! Well I say you come out to the east coast and run the D.C Marathon with me!!!! I am on the east coast….NJ!! I am not that far from DC! 🙂 But I heard that course is super hilly! !